LYFE Kitchen will open its first location in New York in November 2014. The restaurant features fast, healthful, nourishing fare, with no dish containing more than 600 calories. Menus cater to meat eaters as well as vegans and most special diets, including gluten free. LYFE stands for "love your food every day." LYFE Kitchen, 248 W. 55th St., New York, NY 10019, no phone. Korilla BBQ, which began as a food truck, now has its own brick-and-mortar restaurant. The East Village location, with a tiger-striped facade, is serving up the same menu of Korean-Mexican mash-up fare. Expect kimchi-laden pork tacos and burritos. Korilla BBQ, 23 Third Ave., New York, NY 10003, 646-823-9423. Restaurateur Stephen Starr and chef Justin Smillie have teamed up to open Upland. The restaurant serves fresh takes on California-inspired cuisine that have rustic, sometimes Italian accents. Upland, 345 Park Ave. S., New York, NY 10010, 212-686-1006. In Bushwick, Brooklyn, comes Arrogant Swine, a Carolina-style barbecue joint and beer hall/garden from chef Tyson Ho. Arrogant Swine, 173 Morgan Ave., Brooklyn, NY 11237, 347-328-5595. Cosme, the much-anticipated new restaurant from acclaimed chef Enrique Olvera serving elevated takes on Mexican fare, "officially" opened on Tuesday, October 28. 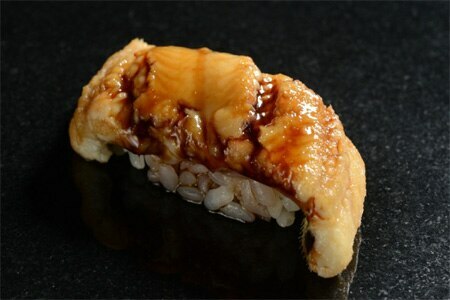 Cosme, 35 E. 21st St., New York, NY 10010, 212-913-9659. Alex Stupak, erstwhile pastry chef at wd-50, has opened his third Mexican restaurant. Empellon al Pastor, right on the corner of St. Marks Place and Ave. A, is an eatery dedicated to slow-roasted pineapple-studded pork, often stuffed in a corn tortilla to make one fine taco. The menu will also include other Mexican classics as well as plenty of varieties of margaritas and micheladas. Empellon al Pastor, 132 St. Marks Pl., New York, NY 10009, 212-367-0999. Another food hall has opened in New York City. The 8,000-square-foot Gansevoort Market, located in a nineteenth-century brick building in the Meatpacking District, boasts nearly two dozen stands, including Donostia for Basque tapas, The Pig Guy for all things porcine, Cappone's Salumeria for Italian sandwiches, and Yiaourti for Greek yogurt, among many other eating options. Gansevoort Market, 52 Gansevoort St., New York, NY 10014, 212-242-1701. After a five-year absence, the legendary Rainbow Room has reopened. The chef is Jonathan Wright, who hails from England, and the menu focuses on seasonal fare. The restaurant, sadly, is only open on Monday evenings, most holidays, and for Sunday brunch. Other than those times, the Rainbow Room will be rented out as a private party space. Rainbow Room, Rockefeller Center, 30 Rockefeller Plaza, New York, NY 10112, 212-632-5000. 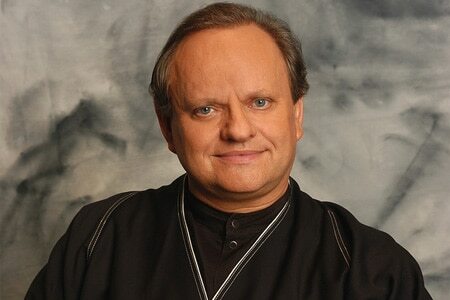 Chef Joël Robuchon is bringing his eponymous restaurant L'Atelier de Joël Robuchon back to New York City two years after it shut down. The chef will open in Battery Park City, where many quality restaurants have been popping up lately. It's scheduled to debut in March 2015 and will be modeled after the London location of L'Atelier de Joël Robuchon. L'Atelier de Joël Robuchon, 250 Vesey St., New York, NY 10080, no phone. During Hungry for Tokyo, a month-long dining promotion in November, 21 New York restaurants will feature special Tokyo-themed menu items. Guests who order from the Hungry for Tokyo menu will receive a copy of the “Tokyo Gourmet Guide,” a booklet on destinations for foodies in Tokyo. Participating restaurants include Sushi Nakazawa, Ivan Ramen and En Japanese Brasserie. Momofuku Ko, the gem in David Chang's collection of restaurants, has shut down in order to move to Extra Place, a small lane near E. 1st St. and Bowery. Chang has not given any indication when the relocated venue will actually open. 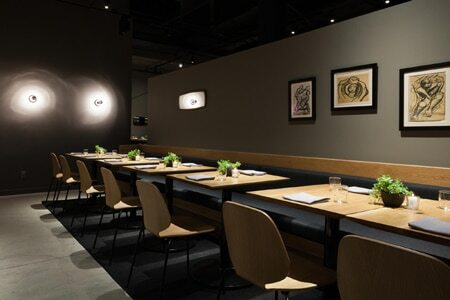 Momofuku Ko, 163 First Ave., New York, NY 10003, 212-500-0831. The people behind Pearl & Ash are teaming up with Daniel Eddy, a New York native who was recently the chef de cuisine at Paris restaurant Spring, to open Rebelle, next door to Pearl & Ash. It's slated to launch sometime next spring. Rebelle, 218 Bowery, New York, NY 10002, no phone. STK, the mini-chain of steakhouses, will celebrate Global Champagne Day on October 24 in grand fashion. Stop by any of the restaurants’ locations on this day, including in the Meatpacking District (26 Little West 12th St.) or Midtown (1114 Sixth Ave.), and at 10:24 p.m. all diners will be able to raise a complimentary glass in a special toast to the bubbly. STK, 26 Little West 12th St., New York, NY 10014, 646-624-2444. Keith McNally has confirmed that Pastis will not reopen in its original Meatpacking District location. The Gallic eatery, set on the corner of Ninth Avenue and Little West 12th Street, had shut down due to building renovations. But, alas, it's just been announced that a store is opening in the space. McNally has vowed to reopen Pastis in the Meatpacking District as soon as 2016, but there are no other details for now. The owners of The Four Seasons Restaurant are planning a serious party for July 30, 2016, to coincide with the storied eatery’s lease running out. The theme will be 1959, the year the restaurant opened. They'll serve 1959 vintages of vino and will charge $1,959 per person for the evening’s food and festivities. Mark it on your calendar and start saving those pennies. The Four Seasons Restaurant, 99 E. 52nd St., New York, NY 10022, 212-754-9494. The original Shake Shack, the kiosk in Madison Square Park that birthed a burger empire, closed after October 13 for a complete revamp. Shake Shack, Madison Square Park, New York, NY 10010, 212-889-6600. For the last year there have been persistent rumors of Balthazar Restaurant’s demise. Or that at least it would be moving. Owner Keith McNally just put those rumors to rest by signing a 10-year lease on the SoHo space that houses the legendary restaurant. Balthazar Restaurant, 80 Spring St., New York, NY 10012, 212-965-1414. Mario Batali has announced that he and his culinary crew will open a second Eataly in New York City in fall 2015. The new branch will be located at 4 World Trade Center in downtown Manhattan. Batali also will launch an Eataly outpost in Los Angeles at the Westfield Century City mall in 2017. URBO, the new restaurant situated on the corner of W. 42nd St. and Eighth Ave., already has a new chef. Michael Gibney has replaced Brian Young in the kitchen. URBO, 11 Times Square, New York, NY 10036, 212-542-8950.
wd-50's pastry chef, Malcolm Livingston II, has landed a job at august eatery Noma in Copenhagen. wd-50 will close for good on Clinton Street at the end of November and eventually reopen in a different location. wd-50, 50 Clinton St., New York, NY 10002, 212-477-2900. Grand Banks, the buzzy boat-restaurant in TriBeCa, shuts down for the season on October 31. On that day, until 11 p.m., it will offer all cocktails at $5 apiece. All remaining bottles of wine will go for $20 each. Grand Banks, Pier 25, New York, NY 10013, No phone. Five Points, the NoHo brunch standout, has closed. The owners have transformed the space into a farm-to-table Italian restaurant called Vic's. Five Points, 31 Great Jones St., New York, NY 10012, no phone. The General, the Bowery pan-Asian restaurant that was a mecca for trendy scenester types, has closed. The space, for now, is being used for private events and parties. The General, 199 Bowery, New York, NY 10002, no phone. The Marrow, helmed by chef Harold Dieterle of Kin Shop and Perilla in the West Village, had its last night serving vaguely German-inflected fare on October 11. The Marrow, 99 Bank St., New York, NY 10014, no phone. After losing a couple of chefs in a short amount of time, Brooklyn’s once-promising Italian restaurant Krescendo has closed. Krescendo, 364 Atlantic Ave., Brooklyn, NY 11217, no phone. Kittichai, the once-acclaimed Thai restaurant in the SIXTY SoHo (né 60 Thompson), has closed. A restaurant with a new concept will open up in the space sometime next year. Kittichai, SIXTY SoHo, 60 Thompson, New York, NY 10012, no phone. Gordon Ramsay at The London has finally closed. There had been rumors for years, especially after the restaurant's namesake, Mr. Ramsay himself, left it in 2009. Five years after that, it closed after service October 11, 2014. Maze by Gordon Ramsay at The London, the more informal spot, remains open. Gordon Ramsay at The London, The London NYC, 151 W. 54th St., New York, NY 10019, no phone. Brooklyn Fish Camp's 10-year lease has expired and the owners decided not to renew it. The parent restaurant, Mary's Fish Camp, located in the West Village, remains open. In the now-vacated Park Slope space will be a Vietnamese gastropub headed by veterans of San Francisco eatery Slanted Door. Brooklyn Fish Camp, 162 Fifth Ave., Brooklyn, NY 11217, no phone. Now closed in the East Village is Yaffa Cafe, the longtime 24-hour restaurant that served big salads and healthy sandwiches. Yaffa Cafe, 97 St. Marks Pl., New York, NY 10009, no phone.